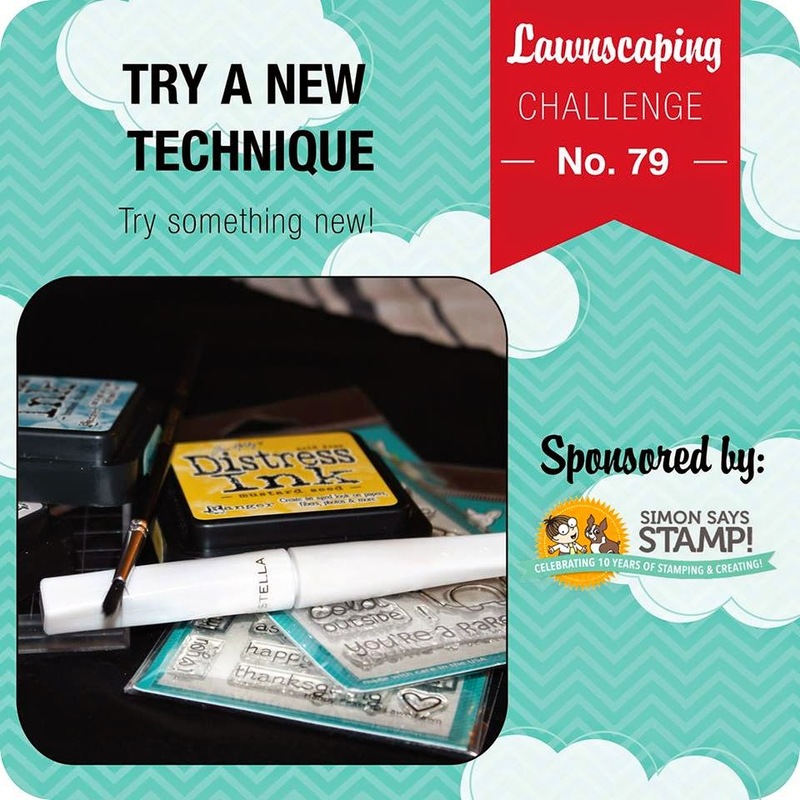 If you approach card-making the way I do, trying a new technique can be a little daunting. Apart from masking and paper-piecing, I tend to keep my stuff "technique-free." Mostly because techniques make such a mess, hee hee. That being said, I tried Jennifer Mcguire's iron-off embossing technique. Oof. Sorry for the weird photo - I could not, for all the pictures in the world, get the colors to look right. Even so, I do love this card! The iron-off technique allowed me to emboss the background and then stamp the sentiment on top. 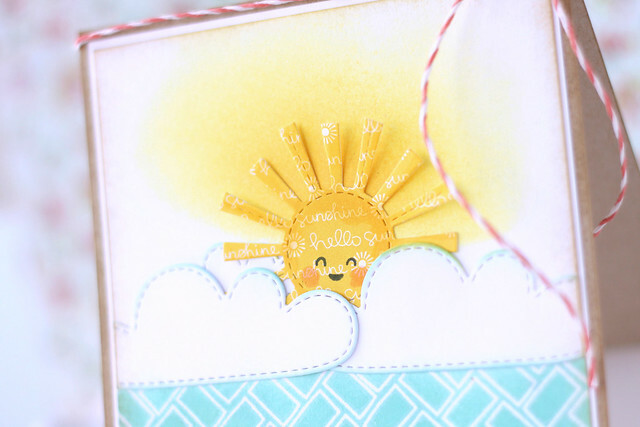 I added a yellow "haze" behind the sun and gave him a smiley face. Just because that's what I need to see on a Monday morning. I hope you play along! You could win a gift certificate to Simon Says Stamp. So lovely!! That sun is the cutest!! The blending of the sunlight is divine! Love this! Sad that you are stepping down, but I get plenty of LF from you and I know you could use the break to you know, make more sushi. Swoon. That sun and the background...genius!! And gorgeous and amazing!! I LOVE that sunshine and the iron off you did is just incredible! Wow! 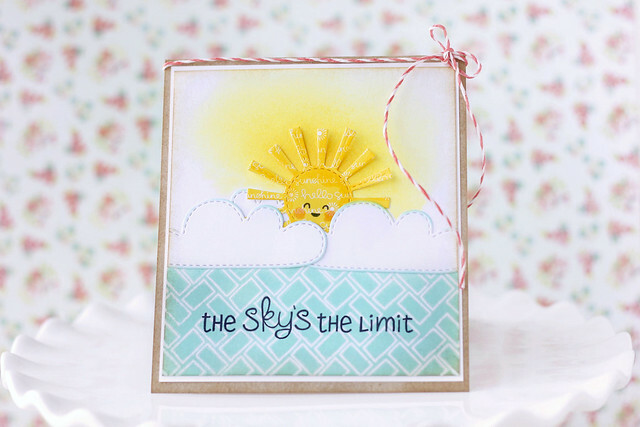 Another super inspiring and stunning card! !